CONCORDIA, Mo. 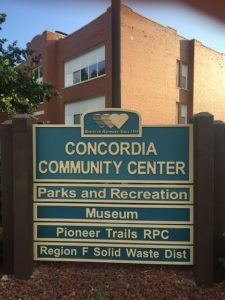 — A regularly scheduled meeting of the Concordia Board of Aldermen will be busy Tuesday night. According to a tentative agenda, following business from the audience the board will discuss items of new business. Among those is a resolution which would accept the results of the city’s audit of financial records for the supplemental period ending September 30, 2018. Discussion will then be brought forward regarding the resignation by Clint Raynes as the city’s police chief, which would take effect Friday, January 25. Members of the board are then expected to appoint Sgt. Paul Maples to take the oath of office and be installed as Interim Police Chief. A bill will then be brought forward proposing an ordinance for a policy for spreading cremated ashes on city properties. Following other items of new business, the mayor, city administrator and aldermen will give their reports before adjourning to a closed session. Tuesday’s meeting of the Concordia Board of Aldermen is scheduled for 5:00 p.m. at the Concordia Community Building.